Prime Minister Adel Abdul-Mahdi on Thursday discussed with Australian Defense Minister Christopher Payne, supporting Iraqi forces' capabilities and meeting their needs. 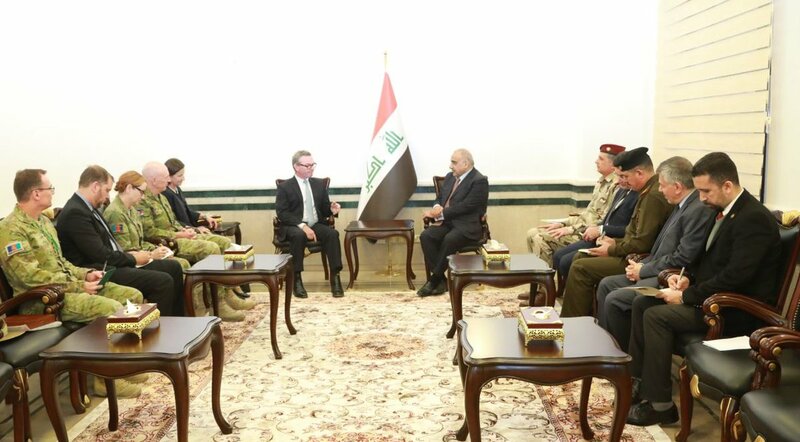 "The latter received Australian Defense Minister Christopher Payne and his delegation and reviewed the successes of the Iraqi forces in establishing security and stability and continuing their efforts to rid Iraq of the remnants of terrorism and a sympathetic gang," a statement by Adel Abdul Mahdi's office said. The statement added that "cooperation was also discussed between the two countries in the field of defense and support the capabilities of Iraqi forces and their needs for weapons and military equipment and training."